Managed to catch up on sleep this weekend; however, when the week begins the beauty rest fades. Working on balancing this busy schedule! P.S. -- yes, these pants are blue velvet! Such a fun mix of colors - I'm loving those shoes & the clutch too! 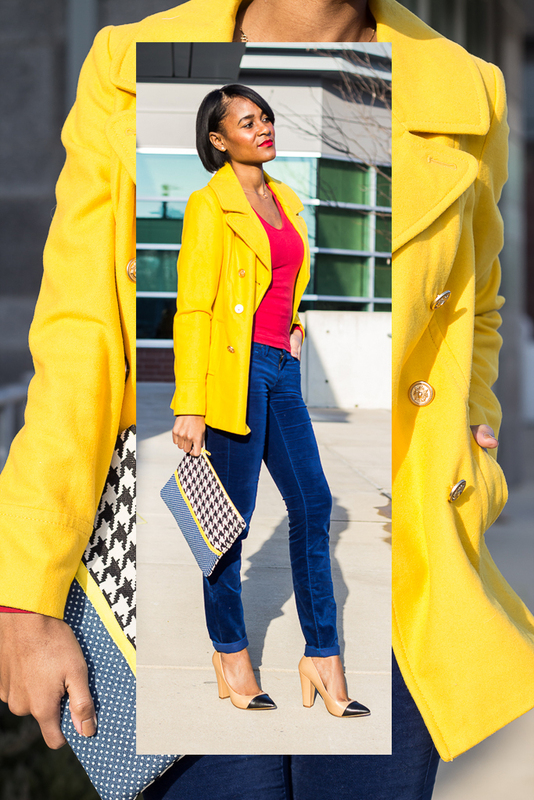 I love the bright yellow coat! The way you styled this is just perfect. Love the look and the red lipstick really compliments your skin tone well! Wow, so many brights! 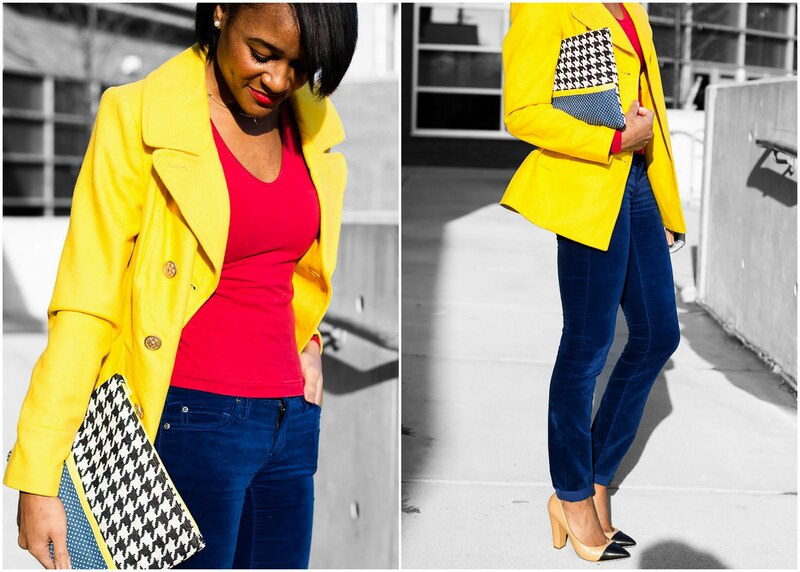 Love the bright yellow! Those pants are so vibrant, love em. LOVE that coat and clutch!!! I love this color combination!!! Love it! those pants are killer!! I just love all your outfits! the queen of colour! that bag is fabulous! Loving the velvet pants and those shoes!!! You look great. 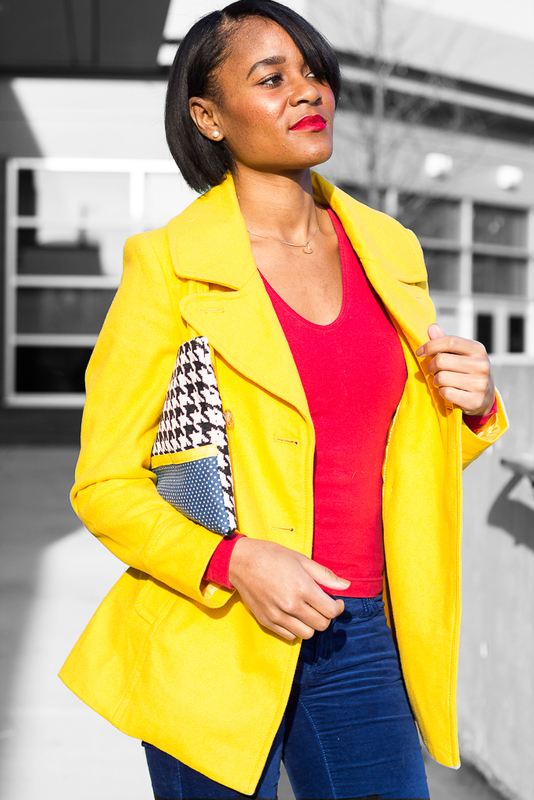 Great color blocking, you wear color so well! Hy.. i just saw a pic of you o Lucky magazine.. I love you style very unique and sophisticated... You have a new follower.